If you are looking for top tier commercial laundry equipment in Orlando, you have come to the right place. 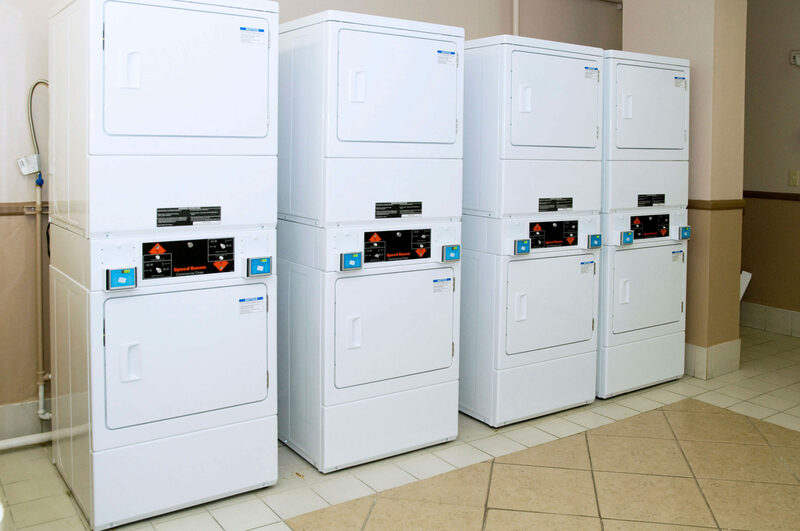 Commercial Laundries is a leading laundry vendor in Florida serving hundreds of laundry facilities across the state with quality laundry equipment and services. If you need to replace old machines in your facility, our commercial laundry machines in Orlando are your best bet. We carry Energy Star certified Orlando commercial laundry machines designed to save you money on water, gas and electric costs. With advanced technology our machines afford you high performance, efficiency, and cost-effectiveness. You can save thousands of dollars on energy costs, and reduce wastewater by up to 50 percent. With high-speed agitation and extraction features, our commercial laundry equipment in Orlando provides a cleaner laundry outcome and reduces cycle timing. Plus, our manufacturers use metal components, not plastic, in their machine construction for sustained durability. Your patrons will be pleasantly surprised at the quality and performance of their laundry experience. Our machines are built by world famous American manufacturers like Maytag, Speed Queen and Whirlpool who are known for their technical and mechanical innovations and sustainability. You can select from coin operated or credit card operated machines in front or top loading models, all competitively priced to fit your budget. Plus, we also carry space saving stackable equipment for smaller areas of your facility, and ADA compliant machines to better serve the handicapped community. If you have any questions about machine models, our sales representatives can explain the difference between machines so that you can make an educated selection. We employ our own team of mechanics and technicians who are educated and experienced in servicing our commercial laundry machines in Orlando. Each technician is given his or her own route of clients to build rapport with and also to understand your exclusive laundry facility needs. Your personal technician can maintain your machines with regular visits to your facility and also handle any repair problems that may arise. We also retain a 15,000 square foot warehouse fully stocked with laundry equipment and parts to better serve you. If your budget is tight at the moment, you may be interested in our leasing program. We can customize a tax-deductible lease to suit your business needs and budget. You can have our best Orlando commercial laundry machines now without all the expense. Plus, you receive complimentary maintenance and repair visits on all leased machines for the lifetime of the lease contract. When selecting commercial laundry equipment in Orlando, you can choose from coin or credit card operated machines. Our Orlando coin op washers and dryers for sale are equipped with large capacity coin vaults that resist tampering and theft, plus they are designed to reject slugs and foreign money. Our credit card operated machines are easy and convenient to use and prices can be changed in small increments. All machine transactions are electronically stored to assist you in bookkeeping tasks. Your patrons will love either type of machine’s operation and performance. Find the best commercial laundry machines in Orlando and the surrounding areas at Commercial Laundries and take advantage of our services. We provide many services, such as: delivery, installation, removal of old machines, maintenance and repair services, and Utility Assessment Reports. Our complimentary Utility Assessment Reports are designed to save you money and identify any problems in your facility set-up. Our technician will review your utility bills and check your machines to assure that they are operating effectively, and not using excess energy. Your report will offer tips and recommendations for correction, but the decision to follow through is strictly up to you.